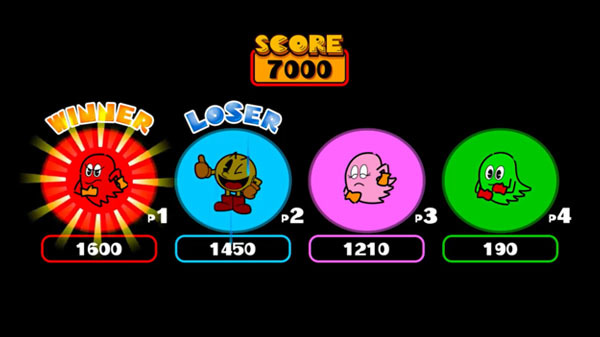 Namco Museum adds Pac-Man Vs.
Shigeru Miyamoto-designed Pac-Man joins Switch-exclusive collection. Pac-Man Vs. will join the lineup of playable games in the Namco Museum game collection for Switch, the latest issue of Weekly Famitsu reveals. The multiplayer Pac-Man game was designed by Shigeru Miyamoto, developed by Nintendo, and originally released for GameCube in 2003. It was remade for DS as part of the Namco Museum DS game collection in 2007. As previously announced, Namco Museum is due out digitally for Switch this summer. The Famitsu coverage is actually first confirmation of the collection for Japan, revealing the Japanese version will also launch this summer at a 2,778 yen price point.